Home » Chair Hire News » What can deckchairs be used for? 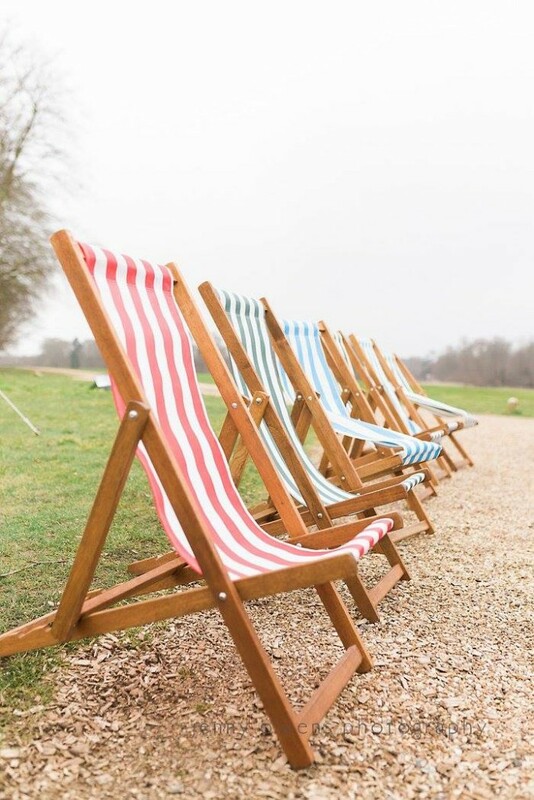 If you’re throwing a party or outdoor event such as a festival, then looking at deckchairs for hire can help you to easily sort out your seating arrangements. Deckchairs are fun and practical, providing comfortable seating on grassy areas that adds an interesting touch to your event. Because they fold away easily, they can be transported in large numbers, and easily moved around a site. When you’re planning a special occasion, from a wedding to a birthday party, having enough seating is essential. Deckchairs are a great alternative to boring folding chairs, and there are many colour options and ways to decorate them to make a unique style statement. Vintage style weddings are becoming increasingly popular, and using deckchairs for seating at the ceremony or reception adds a fun, retro touch. Deckchairs aren’t just for the beach or back garden; they can be used for many different events and occasions where you need practical, sturdy seating that’s easy to move and can be delivered and collected.